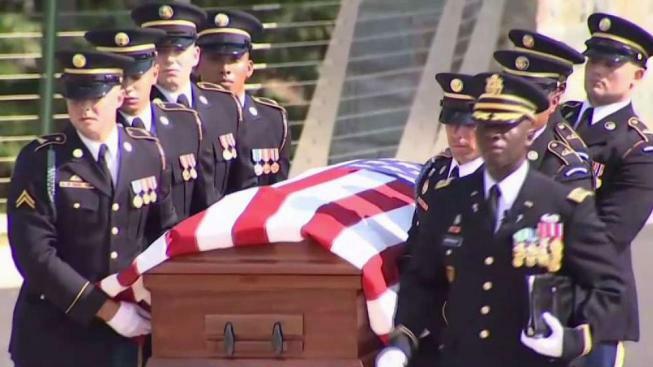 Arlington National Cemetery returned to its roots as a resting place for the Civil War dead with a burial Thursday of two unknown Union soldiers. The burials marked the dedication of an $87 million expansion of the cemetery that officials hope will extend the cemetery's life by up to 10 years. The so-called Millennium expansion adds 27 acres and more than 27,000 spaces for burials and cremated remains to a cemetery where more than 400,000 are already interred. Without the Millennium project, Arlington would run out of gravesites as soon as 15 years from now. The expansion should extend the cemetery's lifespan into the early 2040s, said David Fedroff, deputy chief of engineering at Arlington. 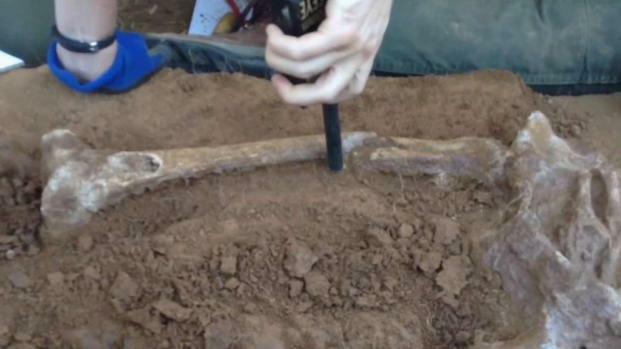 The remains of Union soldiers were found on a battlefield in Manassas, Virginia. News4's Aimee Cho tells how they will be honored. Another expansion in planning stages is hoped to extend the cemetery's life beyond 2050. In addition, the Army, which runs the cemetery, has conducted surveys to determine whether the public is willing to support tighter restrictions on eligibility for burial at Arlington that could extend the lifespan even further. The two Union soldiers buried Thursday at Arlington with full military honors were recently discovered at Manassas National Battlefield in what appeared to be a surgeon's pit filled with severed limbs from 11 other soldiers. When the National Park Service announced the discovery in June, officials said it was the first time that a surgeon's pit at a Civil War battlefield had been excavated and studied. The decision was made at the time to bury the two complete sets of remains at Arlington. While the soldiers could not be completely identified, experts determined from the location of the pit and from items found inside that the two soldiers were Union Army members who died at the Second Battle of Bull Run in 1862. Karen Durham-Aguilera, executive director of Army National Military Cemeteries, told a crowd of several hundred gathered for Thursday's ceremony that it was fitting to dedicate a new section of the cemetery with burial of Civil War soldiers. The cemetery was born during the Civil War when the Union Army needed a place to bury the increasing numbers of killed soldiers. It appropriated the estate owned by the family of Confederate Gen. Robert E. Lee on a bluff overlooking the Potomac River in occupied Virginia for burying Union soldiers. "Now, 154 years later, all of us share in a similar experience,'' she said. Of the 27,282 interment spaces connected with the Millennium expansion, more than 16,000 are columbarium niches for cremated remains. Cemetery officials said the ratio was dictated both by the topography and the cemetery's needs. The section, which provides a view of the Lincoln Memorial and Washington Monument, includes more than 6,000 pre-placed concrete grave liners, which eliminate the need for extensive digging at each burial. The pre-placed liners also conserve space, requiring only a 3-by-8 foot footprint compared to 5-by-10 feet in older sections of the cemetery. Cemetery officials expect to conduct up to three funeral services a day in the new section. They say the new space gives them more flexibility to schedule the up-to-30 services a day conducted at Arlington. "This gives us some operational separation and some flexibility to make the experience special for families'' mourning the loss of a loved one, Fedroff said.